#IGNITEInterop – Let’s all communicate. 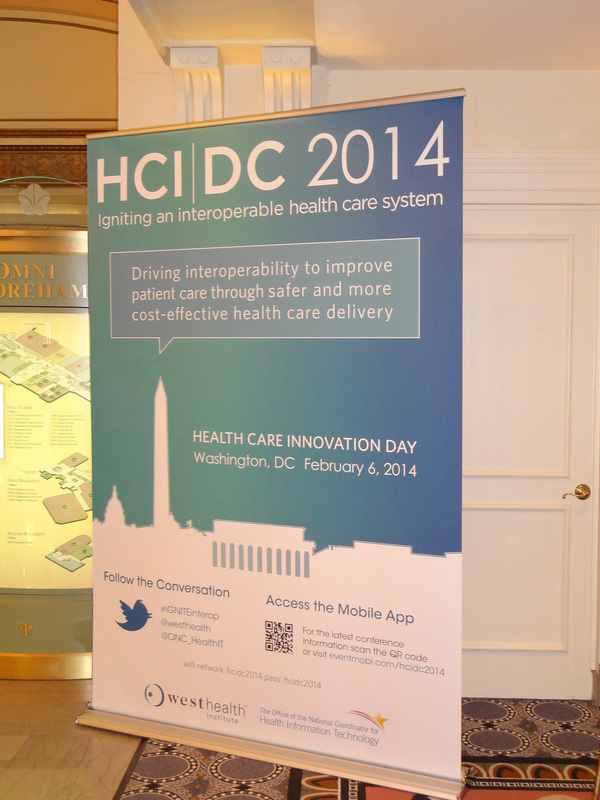 Since it’s only 40-some miles away (though a two hour commute) from home, and I got enough advance notice, I headed to Washington, D.C. last Thursday for HCI-DC 2014: Igniting an Interoperable Health Care System. The event was co-hosted by two different groups: The Gary and Mary West Health Institute, which, according to its website, “is an independent, non-profit 501(c)(3) medical research organization whose mission is to lower health care costs by developing innovative patient-centered solutions that deliver the right care at the right place at the right time.” And the Office of the National Coordinator for Health Information Technology (trust me, it’s an actual government office). The idea of the day was to get as many people in the room as possible to talk interoperability in health care. 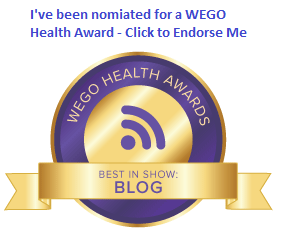 Not just, “Can I get my CGM to talk to my pump”, although there was some of that. But there was also a lot of talk about how to push for standards in medical record-keeping, and making them accessible to health care professionals, in the same format, worldwide. Imagine this: I have an accident in another city, I get rushed to the ER, and a doctor could pull up all of my medications and doses, and my pump settings, etc. Today, all of that might be on paper somewhere, and depending on the timing, a doctor may or may not be able to get access to it right away. You get the picture. There were things I liked about this conference, and things I didn’t like. I hope I can explain a bit here. Today, I’ll give you the things I liked. Tomorrow, things I didn’t like. The first panel discussion covered Perspectives from the Point of Care. It was an interesting discussion moderated by the Chief Medical Officer of the ONC (Office of National Coordinator for Health Information Technology). The panel included some great voices from a healthcare provider point of view, and from the patient point of view, including Anna McCollister-Slipp, Co-Founder of Galileo Analytics and a fellow Type 1. A large part of the discussion centered around Anna’s Type 1 diabetes, the devices she uses, and these two facts: 1) None of her devices talk to each other, and 2) Her healthcare providers cannot, due to rules coming down from the healthcare system they’re working in, download any information from her pump or CGM. From first-hand knowledge of the conversation, I can say that everything Anna said, and everything she advocated for, was right and correct and she was a super advocate for PWDs everywhere. I wish you could have been there to hear it. Pretty much every discussion during the day was like the one above. There was a real feeling that the time is right to move toward interoperability in health care. One of the photos that really brought the point home was when we were shown someone in an ICU room, with about ten different machines at work helping to keep the patient alive. And none of them talked to each other, or shared their data with any system in the hospital. So doctors or nurses needed to view what was happening with each machine, then write the data down in a chart or a folder, then enter some of that data into the hospital’s system. How much time does that take? How much care is not being given to the patient while a doctor or nurse is compiling data like a drone? Anna McCollister-Slipp: “An A1c is helpful, but kind of like using The Farmer’s Almanac to plan your afternoon. My endo needs to be able to see my CGM data”. Stephen Jones, President and CEO, Robert Wood Johnson University Hospital and Medical Center: “If health care systems develop uniform standards, we can then use our buying power to drive interoperability, and force the issue with manufacturers and vendors”. Dr. Michael Johns, Chairman of the Center for Medical Interoperability: “We need to move now, or we’re letting down the next generation”. There were many comments like this throughout the day. Also, I very much liked the keynote speech from Malcolm Gladwell, best-selling author of The Tipping Point and other books, and a former writer on the medical beat for the Washington Post. Which, he reminded us, meant that if he were still at that job, he’d be covering the event this day for the paper. Tomorrow, more on this event, especially what I didn’t like, and my take on a few things. « Remember to Spare a Rose… Don’t forget to Save a Child. Thanks for the recap, Stephen. Sounds like an interesting time with a lot of good discussion on interoperability. I really like that quote from Anna, about the Farmer’s Almanac. That’s totally spot on, and all we need in the endo’s office is the ability to see what’s right in front of us, and really with the tech capabilities we have today it should be as easy as going online and looking at the next day’s forecast in your area on the weather channel just by typing in your zip. Need more movement on this, now. Wow, I’m glad to hear conversations / conferences are happening to discuss this issue. Thanks for making the time to be there and for reporting it back to us!